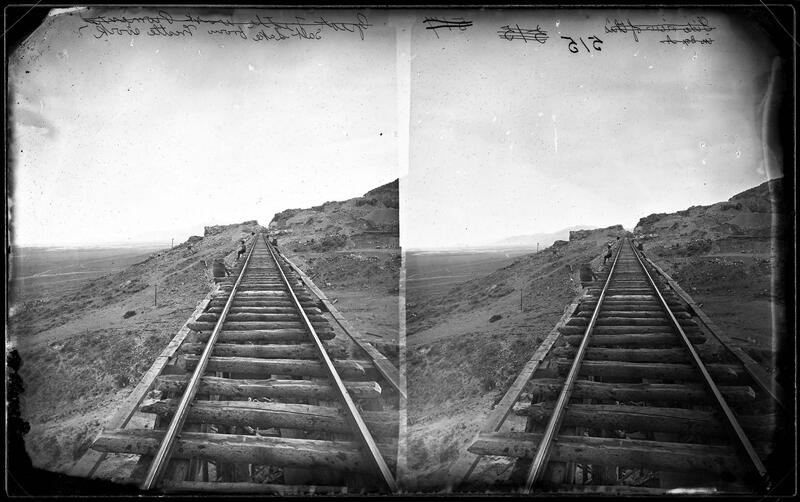 inscription: Side view of this in Box A ["Side view of this in Box A" crossed out] 515 515 [515 is crossed out] 517 [517 is crossed out] Great Trestle Work Promentory ["Great Trestle Work Promentory" crossed out] Salt Lake from Trestle Work," inscribed in emulsion along top edge. Photograph. 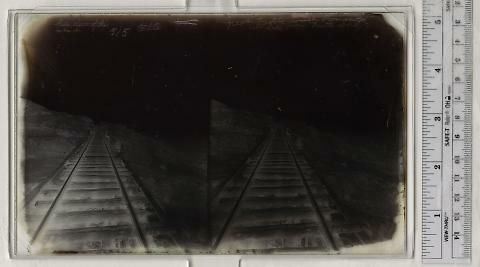 Title: Salt Lake from Trestle Work Image Description: (s515) see Title Physical Description: Stereographic collodion glass plate negative. Sub. Cat. : Transportation -- Railroads. Remarks: listed in Sedgwick's catalogue as "Great Trestle Work, Promentory (sic)".